At first glance this looks like a mirror, right? 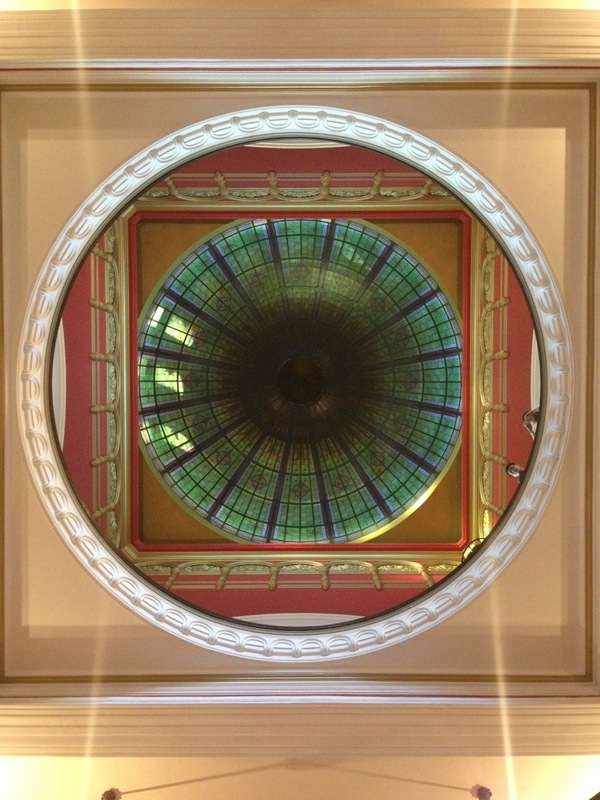 Well, it’s actually a shot of the dome in the QVB building in Sydney, taken exactly below. I love the interaction of squares, circles and colours that this space creates, viewed from this angle. Wow, I love the QVB but can never stand still long enough to get a good look a different angles like this. Thanks for sharing. You should next time you go; it’s such an amazing building!